One of the first pictures made in Second Life that impressed me was made by Whiskey Monday. Her art doesn’t just look very good, it also grabs you. It has been mentioned before that an update is coming to mesh uploading in Second Life that will allow us to go beyond the limit of 8 faces on a prim. This is very exciting to us creators, because at the moment, when I build a building, it can only have 8 different texture faces. So when I for instance want to make a building with several rooms, all with a different kind of wallpaper, nice plaster ceilings, wonderful 1920s façade, ceramic tiles on the roof, etc, etc… you can imagine that I’ll need more than 8 faces. To still make the buildings I want to build, I therefor have to cut the building into several mesh parts that I then have to stick together again and link. To make things a little easier, I usually decide to make every floor of a building separately. And sometimes, this means your land impact goes up. So learning that this limit was going to go up, was great news and I am an impatient kind of person. @1920sberlin No specific limit when it comes out in a project viewer in a month or so. I’m not a very technical kind of person, most of this stuff is abracadabra to me, so maybe this is not big news to some of you, but to me it is rather exciting. I think it will make working with mesh more fun. I still make all my mesh inworld, I use a tool called ‘Mesh Studio’ (you can find it on marketplace) that allows me to keep making stuff with the good old prims and then turn them into mesh. With the “no faces limit”, I hope to be able to make more stuff with less effort. And yes, although it seems there won’t be a limit, I am sure some of Second Life’s most creative users will eventually find out how far this can be pushed. Once that happens, the server farm at Linden Lab will probably explode, causing the rise of the machines and the apocalypse. Till that happens, I can’t wait to create something new with this improvement. 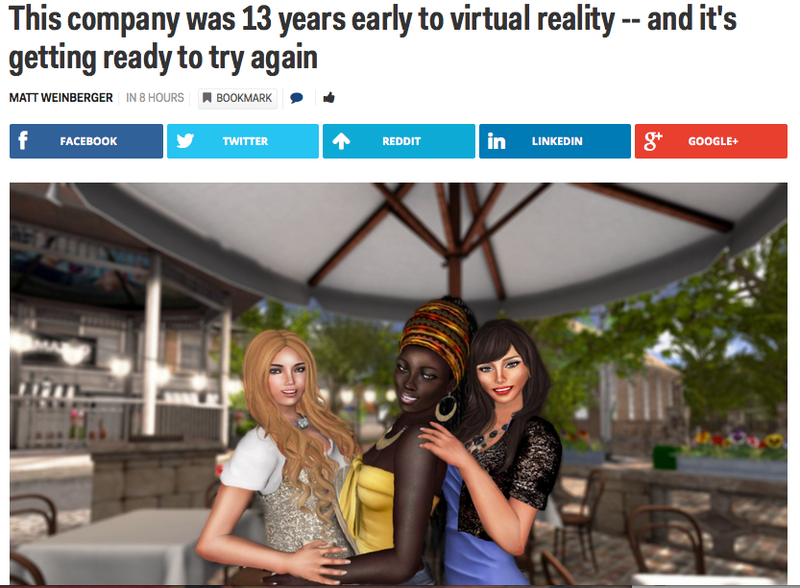 Is the media falling in love with Second Life again? After years of terrible, silly, shallow, badly researched or simply made up articles with screenshots from 1979, recently there have been a few rather positive and well written stories in the media about Second Life. It seems that the virtual reality renaissance, set in motion by Oculus Rift, is bringing Second Life back into the spotlight and quite rightly so. Because no matter what you think about our 13 year old online world, it is still there, it is still doing well and unlike any other VR related thing out there, it has a huge amount of experience, an amazing track record and its own economy. It was a matter of time before (good) journalists would realise the importance of Second Life, or at least how interesting its story is today. Love that title, because SL was early, perhaps even ahead of its time. The story has an ok screenshot, that at least is up to day (although not very exciting). Because the audience is people who want to read about business, they get straight to the point and in my experience, that is very good when the story is about Second Life. Throw some facts and figures at the reader and they will be impressed and perhaps stop thinking about all the pervy stuff they read about in the other articles. Ebbe Altberg, CEO of Linden Lab is quoted in the article and as I mentioned before, Ebbe knows what to say and how to sell our virtual world to outsiders and once more he does a wonderful job of it. 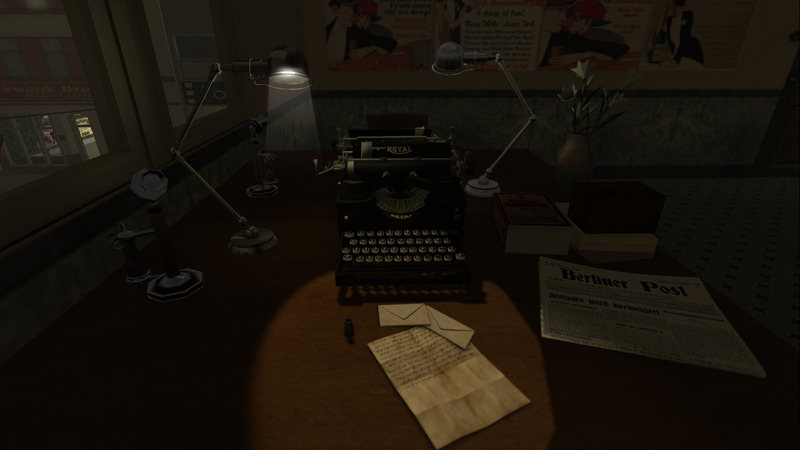 The story goes into the past and future of Second Life and well, it just sounds good. Make it easier for people to find cool, relevant stuff. Make it possible for more people to attend and experience that cool stuff (Duran Duran did a free concert in Second Life once, but only 50 people could fit in the room for technical reasons). Make it possible for people to make money in new ways from their stuff (like letting people who run virtual classrooms rent out the technology to other universities). If the company can do that with this next version, Altberg says, then Second Life’s prosperity will continue well into the new reign of virtual reality. And what can I say, I am easily pleased, so I was quite excited when my 1920s Berlin Project was mentioned. My already massive ego likes being stroked but to be blunt, I do think that at least the theme of my sim is a good one to show outsiders with that Second Life is about more than shopping, chatting and hanky panky. Although of course all those things also happen in our sim… ssshhhh don’t tell anyone. In short, an article worth reading (and you can read it by clicking here), but also positive about our virtual world. Let’s hope more journalists start to realise that Second Life is actually a very interesting topic, again. 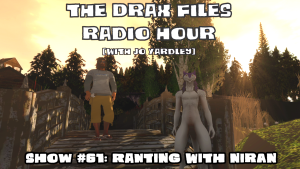 New Drax Files Radio Hour episode! everyone can create an sl viewer and niran actually did it: a young self-taught german furry and tinkerer sprung into action indeed. so behold, because today: the man behind black dragon! Aech’s Chatroom in SL [pic by Austin Tate] – but when checked today = no more ready player one reference in sl…. 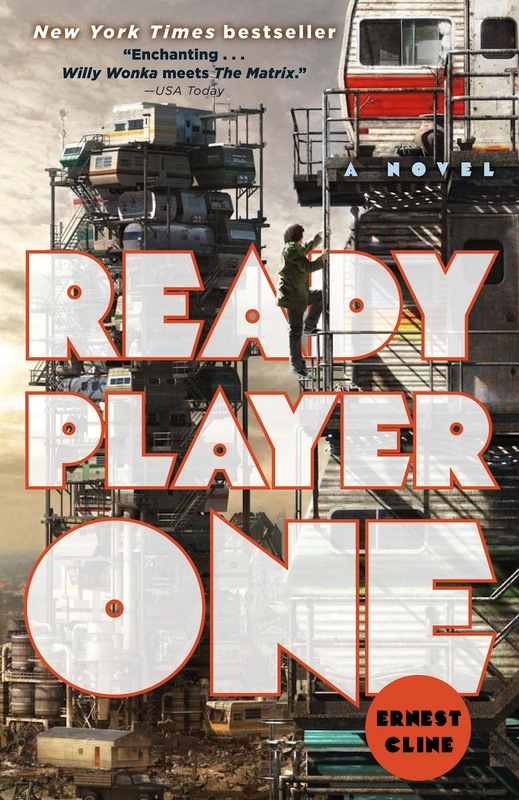 Steven Pielberg has just signed up for ‘Ready Player One’, the adaptation of one of the biggest and well known books on Virtual Reality of the same name. He will also produce the movie. This is great news, at least if you’re a Spielberg fan, and I am. It means that it will become a big budget movie and it will look swell. Everyone is talking about VR at the moment and by the time this film comes out the Oculus Rift will very likely already be used in quite a few households. Either way, everyone will be comparing the Virtual World Spielberg is going to create and the one Linden Lab is working on, so it better be good! Many, if not most users in Second Life love to be anyone but themselves in Virtual Reality. But some of us, including myself, would actually love to have their avatar, or at least one of their avatars, look like an exact or only slightly improved versions of their real life selves. And if VR is going as big as some of us think it will be, we may eventually end up using our avatars for more than Second Life. 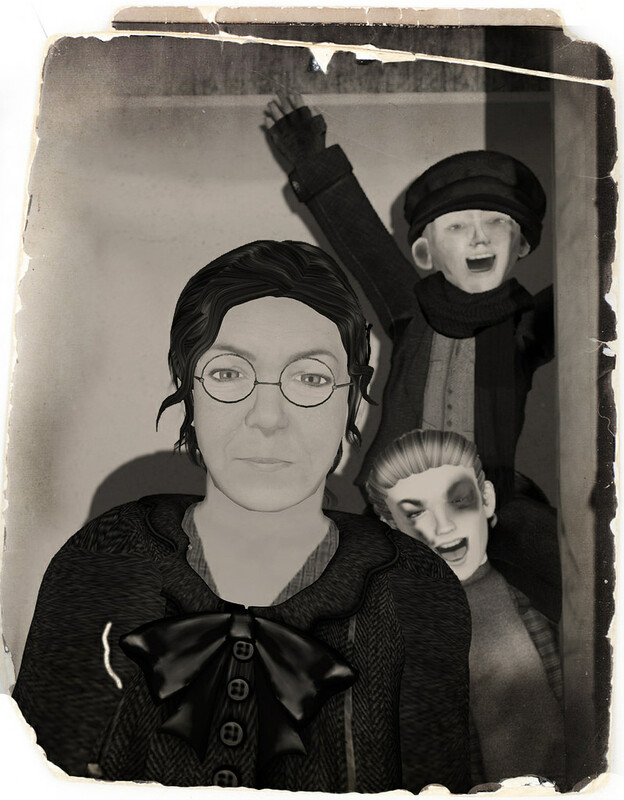 Imagine one day using your avatar (Second Life, High Fidelity or Facebook World) to go visit your family who live on the other side of the world. She’d want to see you look the way you do. And one day when we use VR to do all sorts of things, you may even be invited for a job interview or a chat with a bank manager in VR, again a situation where you may not want to show up looking like Satan or a kitten with a hat on. Even though nobody can say no to kittens with hats on. Either way, I think it would be fantastic if Second Life Next Generation would have a tool that makes it al lot easier to make your avatar look like you and in a discussion on the SLUniverse forums I bumped into the two videos below that show some rather cool tech doing just that. I think that even for people who do not want their avatar to look like them, this could be very interesting. Because if by using a camera or even a motion sensor device such as Kinect or Leap Motion, you could create an avatar in SL, you would at least end up with a realistic proportioned avatar as a foundation. Turning it then into a giant, elf, furry or child would be even more fun and you would always have this real grown up body to use as a template, something to compare your fantasy avatar with. Or maybe you want to give your fantasy avatar your RL face or parts of it. Thank you Wolkenreiter for posting these on the SLUniverse forums. The SL Go team keeps up the good job of opening up lines of communication with its users. They already have a busy inworld group and an island location you can visit but now there is also a SL Go Facebook Group and page! Although many of us, especially those who are avatars, really dislike Facebook, but it is still one of the best and most used social media tools out there. The Facebook page will be a great way to stay up to date with the latest news, improvements and special deals, while the Facebook group will be a place where you can share your amazing pictures, ask for help or interact with other SL Go users and the SL Go team. Building, maintaining and running a sim is a lot of work, especially if this is a very active role playing community. I’ve got buildings to mesh, tenants to evict, streets to clean, drunks to insult, etc, etc. But a lot of my time involves paperwork. So even though I live in a busy city, this is the view I see the most. SL Go has just announced that from now on the Firestorm viewer is available for mobile devices including Android and iOS but not the official Linden Lab viewer. OnLive is thrilled to announce today that due to overwhelming demand from our community of SL Go users, we are making the Firestorm Viewer available for mobile devices including Android and iOS. Due to current technical limitations, we are only able to offer one viewer for mobile devices. Our studies have shown that the SL Go community prefers the Firestorm Viewer, and now they can enjoy the same rich experience on their mobile devices. 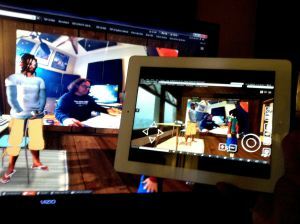 Of course the LL viewer still works on PC and Mac computers, but for mobile devices you now will have to use Firestorm. For me this is not a bad thing, I ever only use Firestorm for Second Life and I don’t use any mobile devices anyway. But for others it means they have one less choice and may even have to start getting used to the Firestorm viewer. But it is not surprising, although worrying for Linden Lab (or should be) that the majority of viewers prefer the Firestorm viewer. The SL go team also said that they hope to “bring this same choice to mobile devices soon, but still have some technical hurdles to overcome.”. Interested in trying SL Go? Sign up on the SL Go website here or visit the SL Go island inworld to pay for the account in L$, no name, paypal or credit card required. What if SL Go was a gift for Second Life premium members? It may be obvious that I rather like SL Go. As I’ve written, it allows me to enjoy Second Life the way it should be enjoyed in all its visual glory and even on my 6 year old MacBook. Not to mention that it revitalized my love for virtual photography. But it costs money, of course it does, there is no escaping that, but well, money is money and as a Dutch person, spending even a cent breaks my heart. Yes we cloggies are cheap penny pinchers. Something else that costs money and that doesn’t make me very happy is my Second Life premium account. I have one, I think because I once needed one to buy land, but it has never been very rewarding. Now and then I get a gift which, if it isn’t 1920s themed (and it never is) is of no use to me, I get a Linden home, which I’ve never even visited and that most people don’t seem to be very keen on, etc, etc. I’m sure some people are very happy with it, but it doesn’t do much for me. The only things I like(d) about the premium account is the live chat support (until they decided to drastically cut the opening hours) and getting some land, even though I of course no longer needed that once I got my own region. Premium account costs about $9.95, you get a dollar in Lindens back each month, so its roughly $8.70 a month. 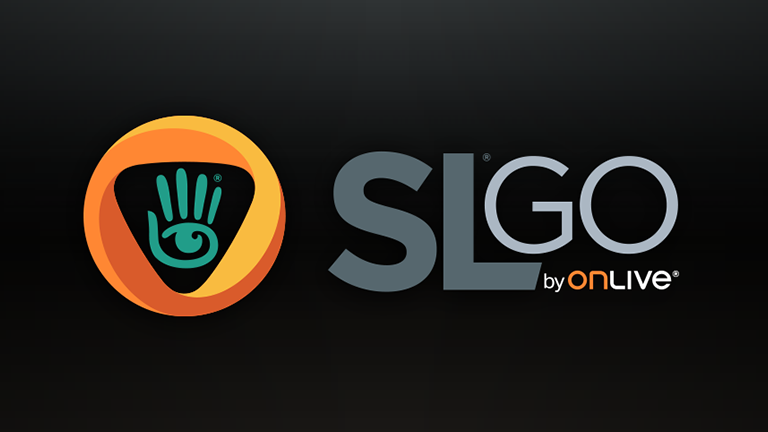 SL Go costs $9.95 a month. And I know it is probably a bit of a silly idea, some wild plan, but I’ve been wondering about combining SL Go with the SL premium account. Every one in SL with a premium account gets SL Go for free, or with a huge discount. I think it would make getting a premium account a lot more interesting for a lot of SL users and although it is not a huge source of income for LL, it is a regular and steady monthly income. Of course it would also cost money, but I reckon SL Go might be willing to give LL a discount, after all they would be very happy with such a huge amount of new users. I reckon that some SL Go users might also get interested in other Onlive services and thus create a new source of revenue. Now I am the first to admit that I have no idea about the business side of how SL Go works or what the premium accounts actually mean to LL, so none of this may make any sense. The money and business people at Linden Lab have to look at this and see if there is something here or if crazy Dutch woman is dreaming again. But at this moment, Linden Lab has to host several regions full of houses for premium account holders, houses most of us are not that excited about. This costs LL money or at least some recourses. Not to mention the ‘Exclusive Experience’ they build and host for premium users, the gifts and activities. Premium accounts cost LL some money. By replacing all these extra’s with one actual useful gift of free SL Go, I think most premium account holders would not only be very happy but it would become very interesting to other SL users to actually get a premium account. And if I am totally wrong about this, there is one other option that would work for both Sl Go and Linden Lab; The SL Premium Plus account. In stead of paying $9.95 a month, you pay $15,- and for this you get SL Go on top of your premium account. So nothing really changes with the premium account, but for 5 bucks extra you get SL go on top of it. Again, this is just a crazy idea, I have no idea about all the facts and figures, the economical and financial parts of this idea and what kind of deal would make this beneficial for both SL Go AND Linden lab… and us users! I just think that it would be an interesting idea to see if we can somehow combine these two things. Making both the SL premium accounts more attractive and allowing more people to enjoy Second Life the way it should be enjoyed, with full ultra graphics, on mobile devices and with next to no lag. This in the end will also help Linden Lab with improving Second Life’s reputation because us SL Go users are uploading a lot of really amazing screenshots… and who knows, in the future we may even be able to use SL Go to upload video or perhaps even stream it. Can you imagine the impression all those videos made in SL with ultra graphic settings and almost no lag will make? Crazy and silly idea or is there something interesting here? Perhaps you have a better idea? Let us know, share your suggestions in the comments section below!